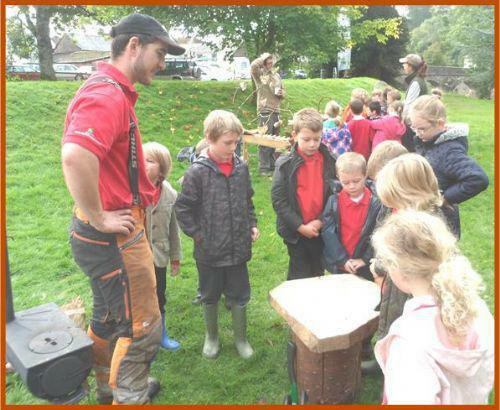 Years 1-4 went to the Exmoor Wood Festival last week, put on by the Exmoor National Park Authority to celebrate all things wood! It was full of fascinating information and hands-on opportunities such as using digital microscopes, spin wool, learn about how charcoal is produced and how to use hand tools to create chair legs! The children really enjoyed seeing for themselves what can be done with wood, and learning about the many different properties wood has that makes it such a versatile material. Thank you to everyone concerned who made the day such a huge success.